The arrest of a famous comedian and 54 more people for hate speech and pro-terror comments in the wake of the Charlie Hedbo attacks have sparked a fierce debate in France over whether the authorities are guilty of double standards on freedom of speech. At the center of the debate is controversial comedian Dieudonne M’bala M’bala, known by his stage name Dieudonne, who was arrested after posting “I feel like Charlie Coulibaly” on Facebook, putting together the name of the attacked satirical weekly Charlie Hebdo and the terrorist who is accused of killing four people at a Jewish supermarket in Paris. "Racism, anti-Semitism, historical revisionism, and condoning terrorism are not opinions, they are crimes," French Prime Minister Manuel Valls said, condemning Dieudonne's remark and vowing a crackdown on "speech that kills." The crackdown has 54 people, four minors among them, convicted for hate speech and inciting terror under special measures for immediate sentencing, introduced in the wake of the Charlie Hebdo attacks. Inciting terrorism could mean a 5-year prison term in France, while the same offence committed online adds an extra two years to the sentence. Dieudonne is set to face trial in February. Meanwhile a massive online campaign in his support is gearing up. The main message of those urging an end to his persecution is that it’s double standards to praise Charlie Hebdo’s activity, seen as provocative by many Muslims, and at the same time ban Dieudonne for his remarks. Tweets condemning French authorities of violating freedom of speech have been accompanied by a #JeSuisDieudonné hashtag. So France arrests Dieudonné 4 offending 70M French but praised publication of Hebdo even if offends 1.6B Muslims. The comedian has already faced a number of charges of racism and anti-Semitism. He has defended his comments, using pretty similar free speech arguments to those used by Charlie Hebdo cartoonists. “You are looking for a pretext to forbid me,” he wrote in an open letter to French Interior Minister Bernard Cazeneuve. “You consider me like Amedy Coulibaly, when I am not any different from Charlie." “If the French are demanding freedom of expression and free speech, than this comedian should have those rights as well and it is these double standards in the West,” Yvonne Ridley, of the European Muslims League, told RT. Many Muslims have expressed their disapproval of the latest edition of Charlie Hebdo with the image of Prophet Muhammad on the cover. Human rights activists have warned of the cartoons’ negative impact on the Muslim community. A lawyer for one of those 54 convicted for pro-terrorism comments, Michael Wacquez, has warned that French authorities could face a massive problem if they tried to go after everyone who has expressed a pro-Islamist position on Charlie Hebdo. 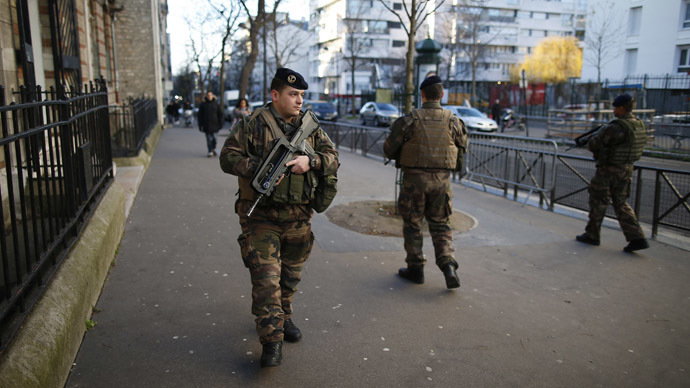 "There are 40,000 tweets out there expressing support for the terrorists," Wacquez told AFP. "What are we going to do with all these people? Are the French prisons ready to take in 40,000 people because they made a bad joke on Twitter?" 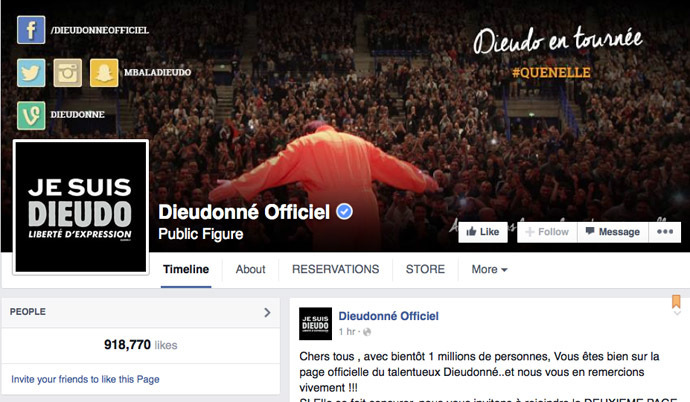 French comedian Dieudonné's arrest for being an "apologist for terrorism" is absurd. So much for #JeSuisCharlie. How about #JeSuisDieudonne?